We arrived at the BGT around 9pm this night. We had met up with Wendy and Rick. 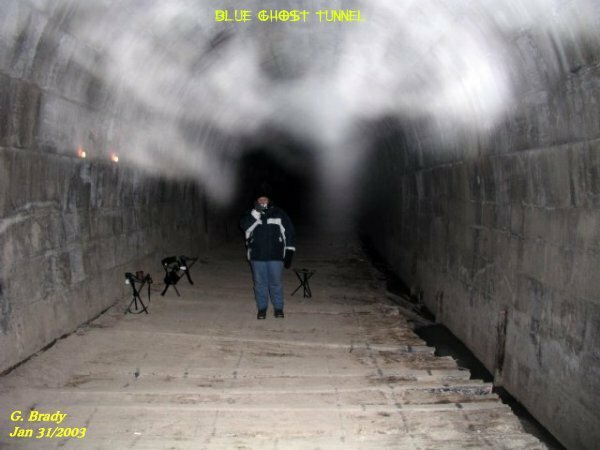 This night felt a little off as though one was being watched, yet it was very quiet at the tunnel. Once inside the tunnel Cindy said she could feel something around her. 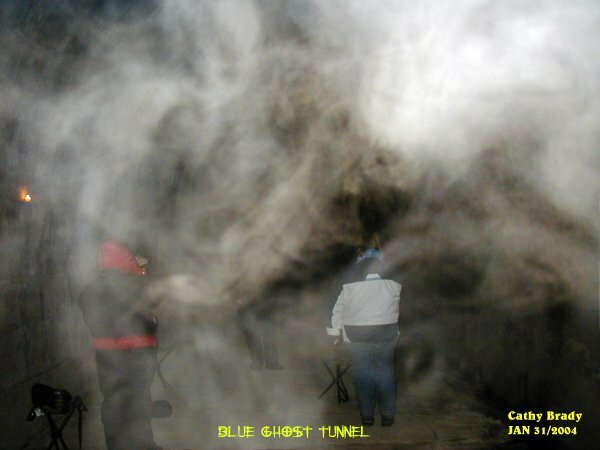 Sure enough some ecto mist was just above her in the above photo. A few feet ahead of me I managed to capture some string ecto with a light purple color to the strands. 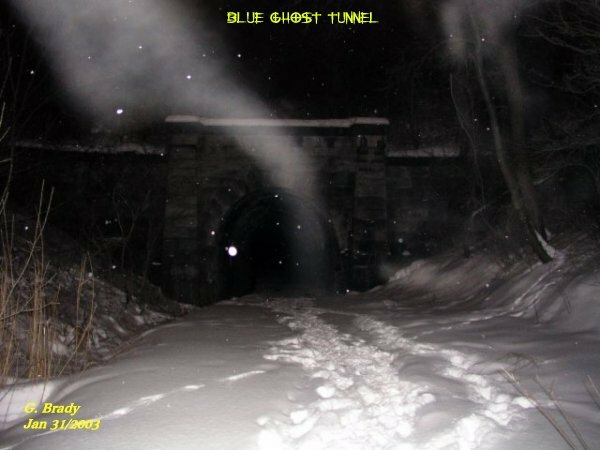 We heard howling in the distance near the tunnel entrance. We went to investigate the howling by stepping outside and the howling stopped. I took a few pics near the entrance of the tunnel. 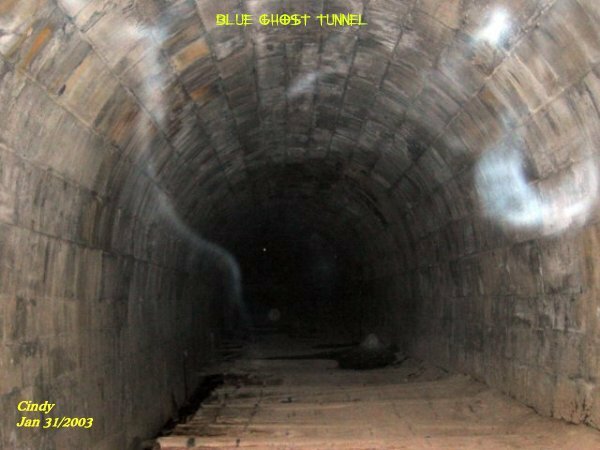 Just to the right side of the tunnel you can make out a very strange mist forming that appears as if it was scaling the tunnel's outside wall. 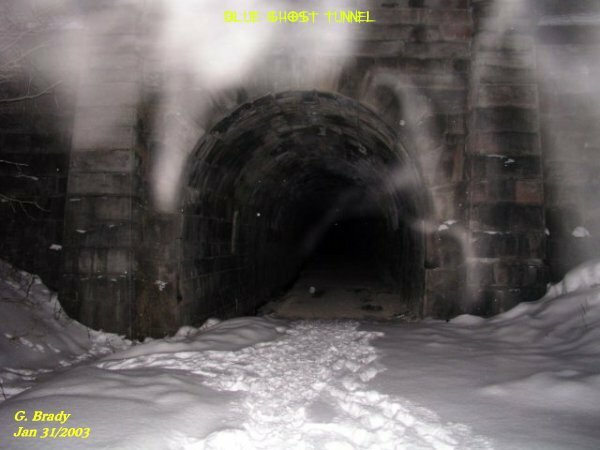 In the above photo it shows some ecto mist emerging from the tunnel entrance...OR...was it heading into the tunnel????? Cathy managed to get some ecto inside the tunnel. What was interesting in this photo was the strange energy form that seemed to be going for Wendy. 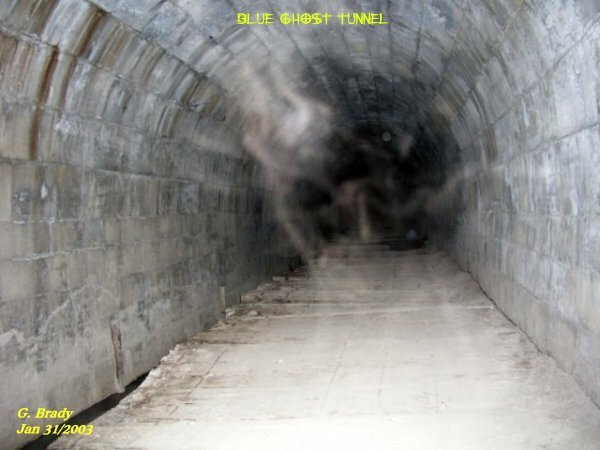 Cindy got some interesting energy strands just ahead of her in the tunnel.